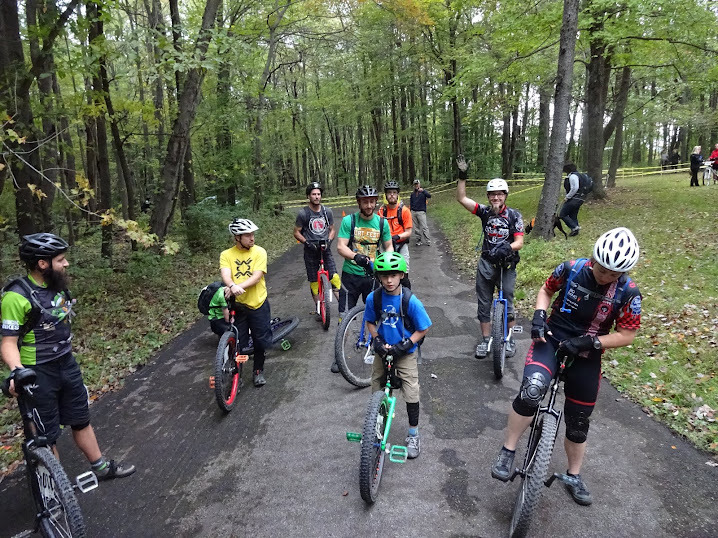 A wobble of us (yes, a wobble is a collection of unicyclists) just finished the Month of Mud series. Regular indoor sessions at the Butler Y on Saturdays starting November 7th. Also, we'll be hitting up The Wheel Mill on Fridays.